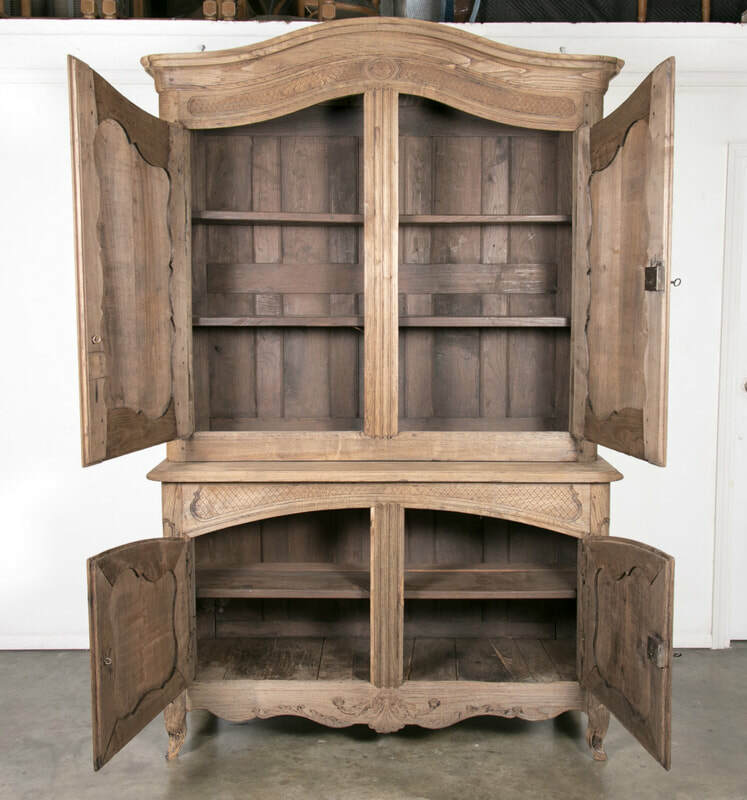 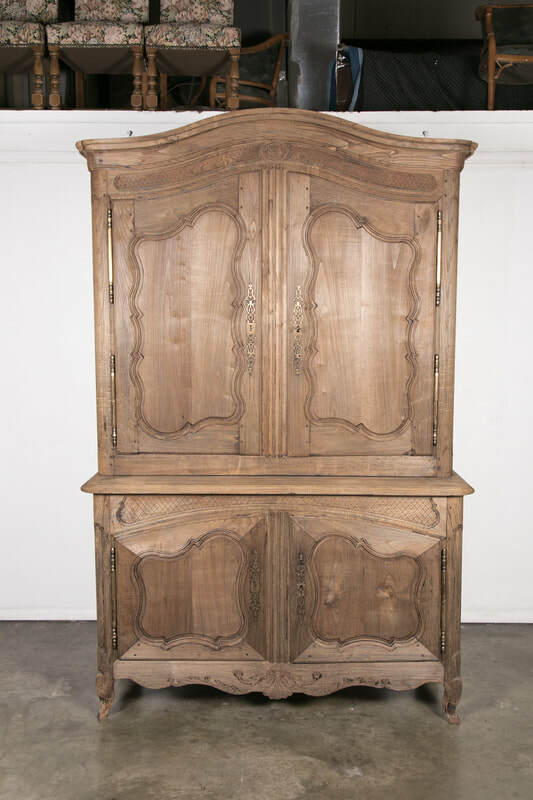 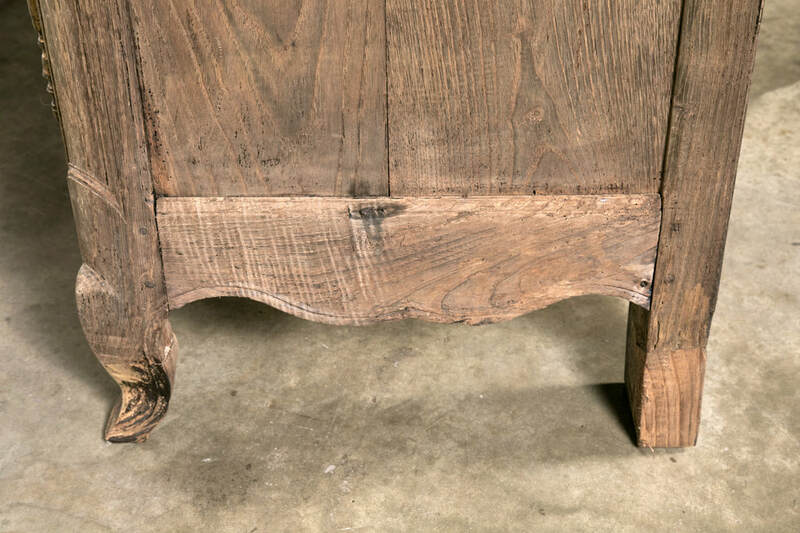 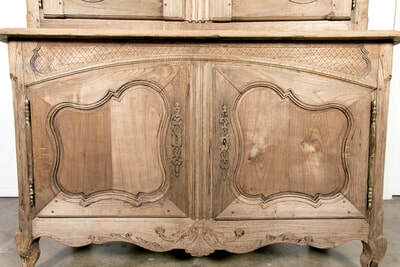 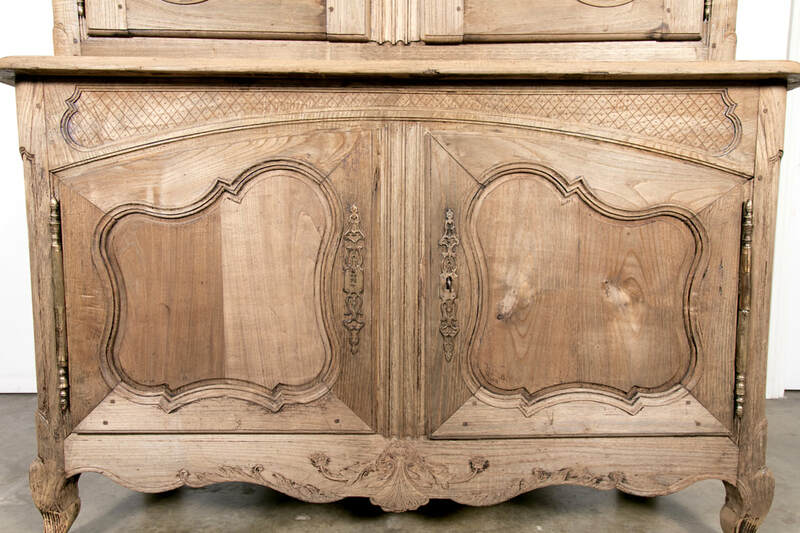 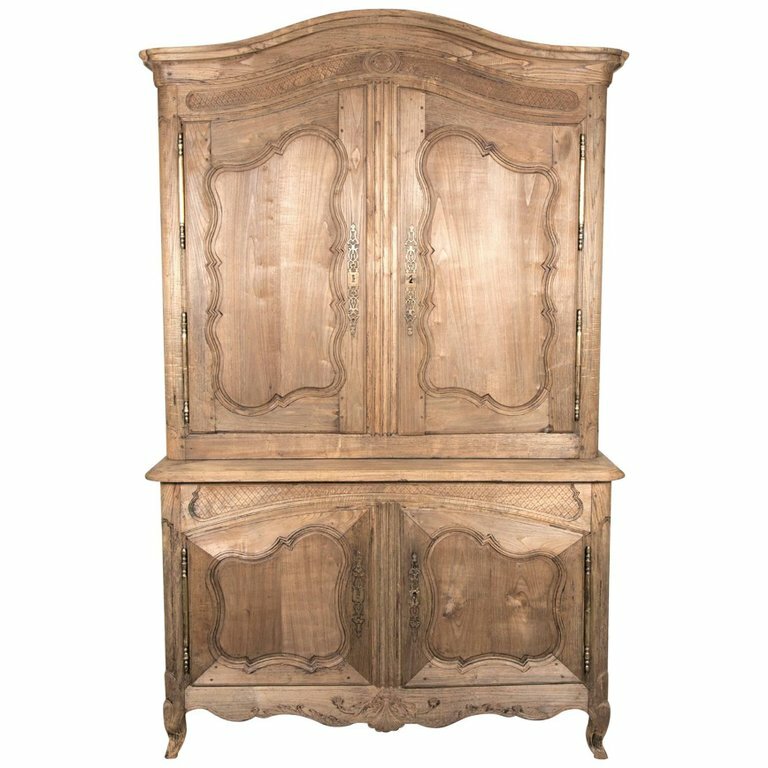 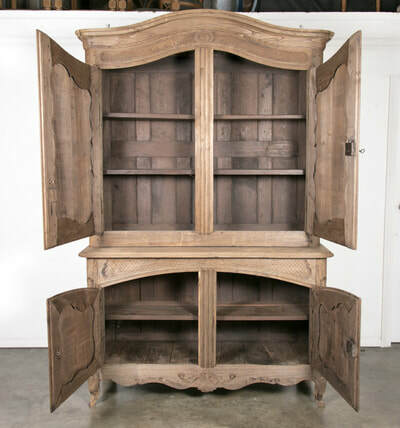 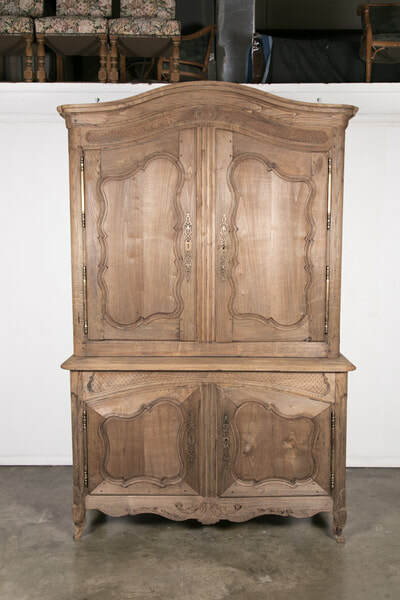 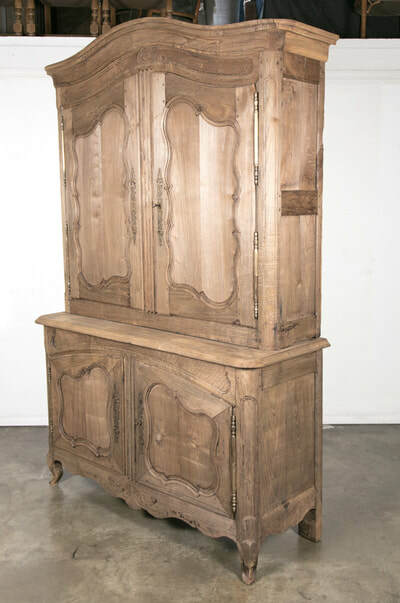 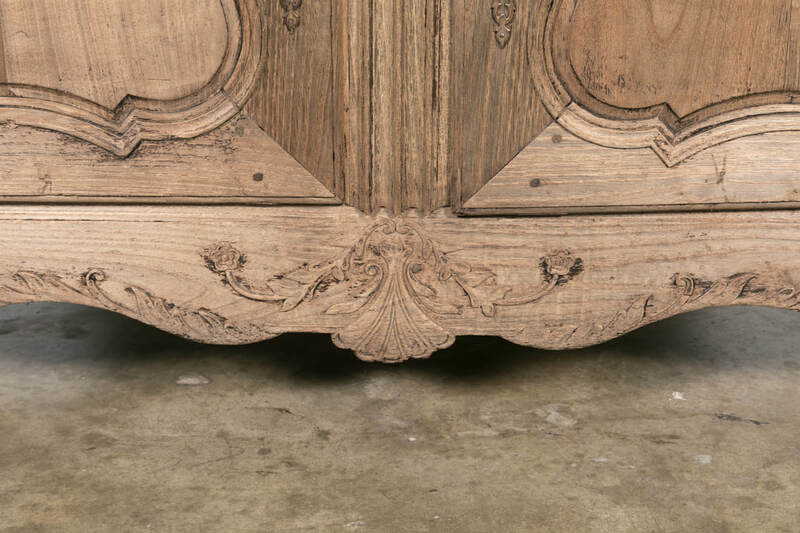 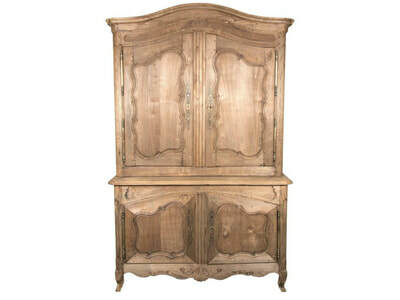 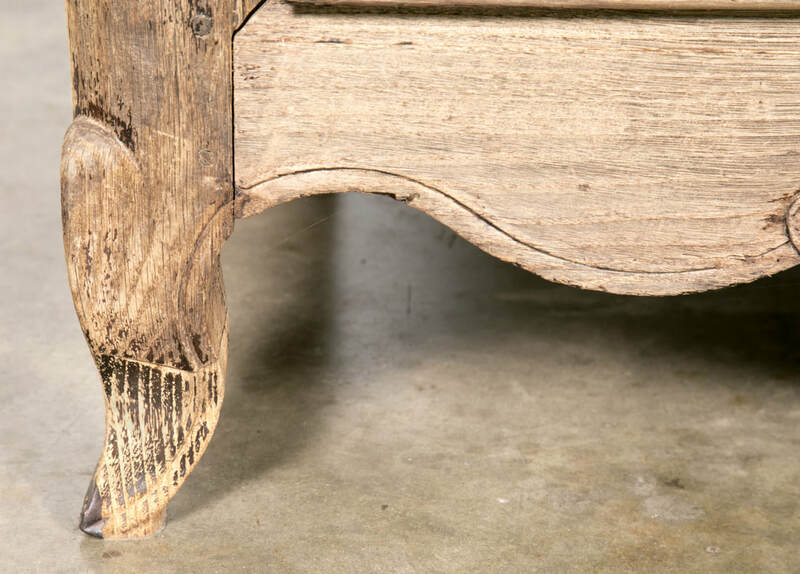 Charming 18th century country French Louis XV style buffet deux corps handcrafted by talented artisans from the Normandie region in old growth oak, bleached or washed to a natural finish, retaining its beautiful patina. 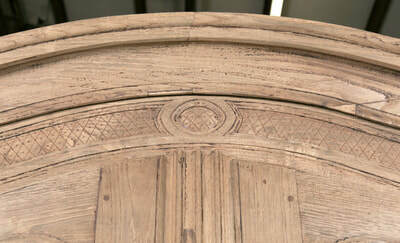 The upper cabinet, having a chapeau de gendarme cornice above a carved frieze with a pair of carved, panel doors that open to reveal two interior shelves. 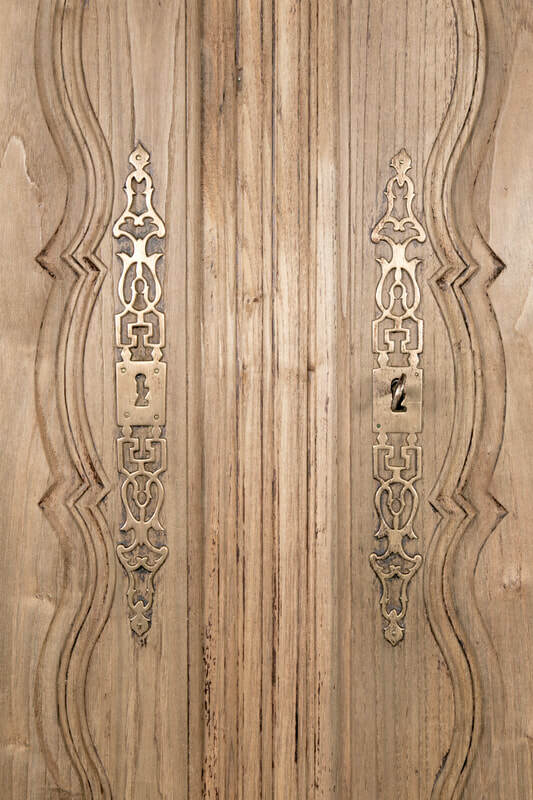 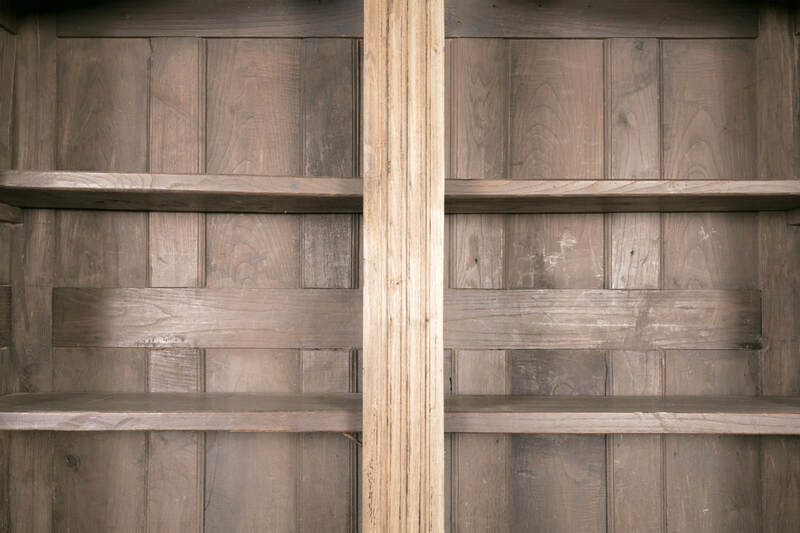 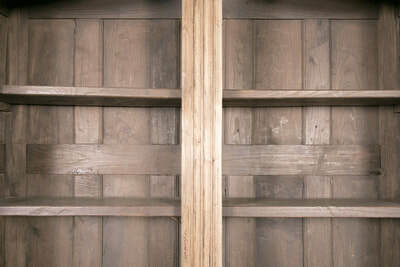 The lower buffet, having cross hatch carving above a pair of carved, panel doors that open to reveal a single interior shelf. Carved, shaped apron resting on short cabriole legs. 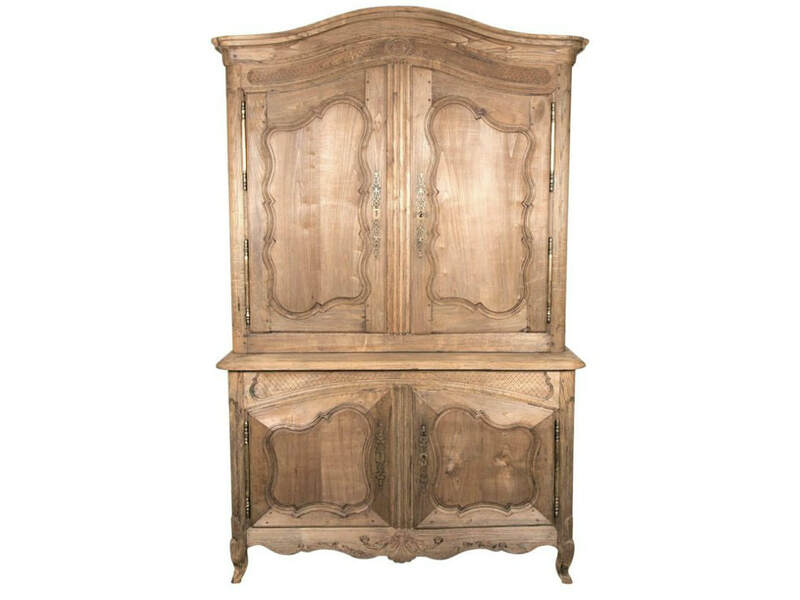 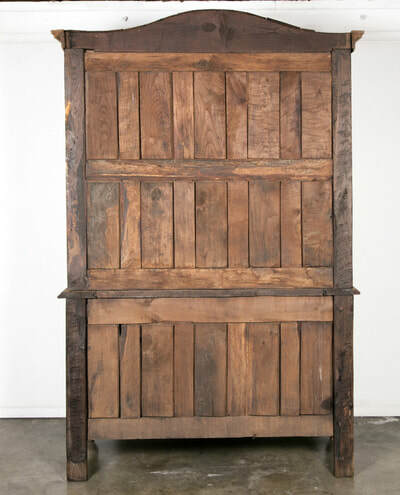 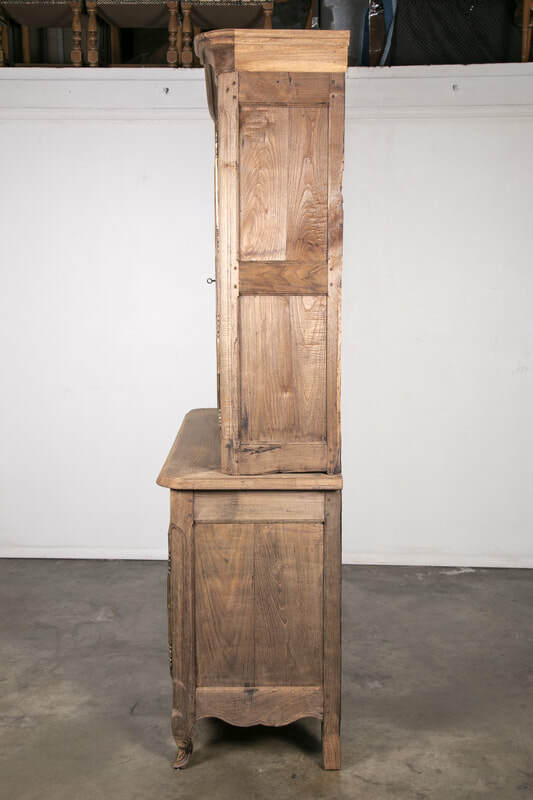 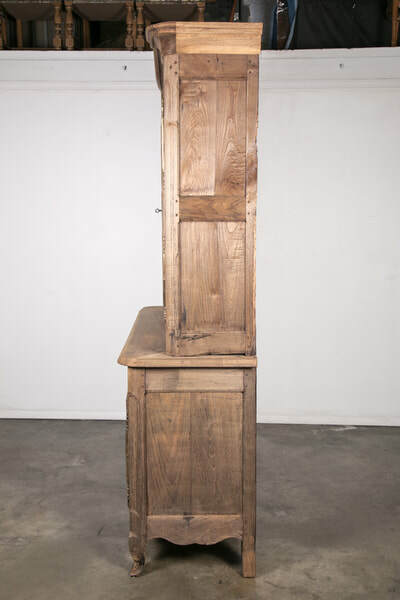 Unmistakably French, this wonderful washed oak buffet deux corps is perfect for entertaining, having plenty of storage in both cabinets and a serving surface.